While the Jump$tart Coalition was founded as a national coalition, the need to collaborate and communicate on financial literacy issues at the state level quickly became apparent. Some of the earliest state coalitions were formed from existing organizations or cooperative efforts; others were formed when state and local entities contacted the Jump$tart Coalition to ask for assistance in getting started.Today, Jump$tart’s state coalition network consists of 51 affiliated state organizations — including Greater Washington, DC and Puerto Rico — and most of them operate as “grassroots” volunteer efforts — without full-time permanent staff or facilities. These state coalitions are independent nonprofit organizations, each with their own board and bylaws, connected to the national Jump$tart Coalition through an affiliation agreement. Many of them are tax-exempt through national Jump$tart’s group exemption. Most of Jump$tart’s affiliated state coalitions use the Jump$tart name and brand, but a few do not. A few have extended some reach beyond the student demographic. Each carries out its mission through a unique mix of activities and initiatives to serve all consumers in the state. 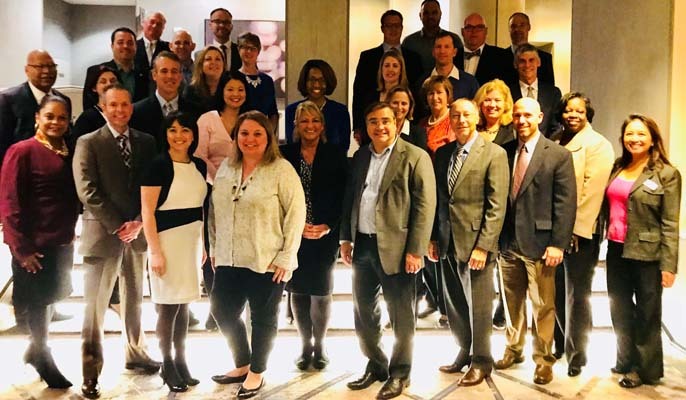 Each year, the Jump$tart Coalition recognizes one of its state affiliates as State Coalition of the Year based on the soundness of its operations, its commitment to collaboration, the breadth of its outreach, and its effectiveness and innovation in advancing financial literacy objectives. While one exemplary coalition is selected for recognition, the award serves to draw attention to the important work accomplished at the state level, across the country. Learn more.